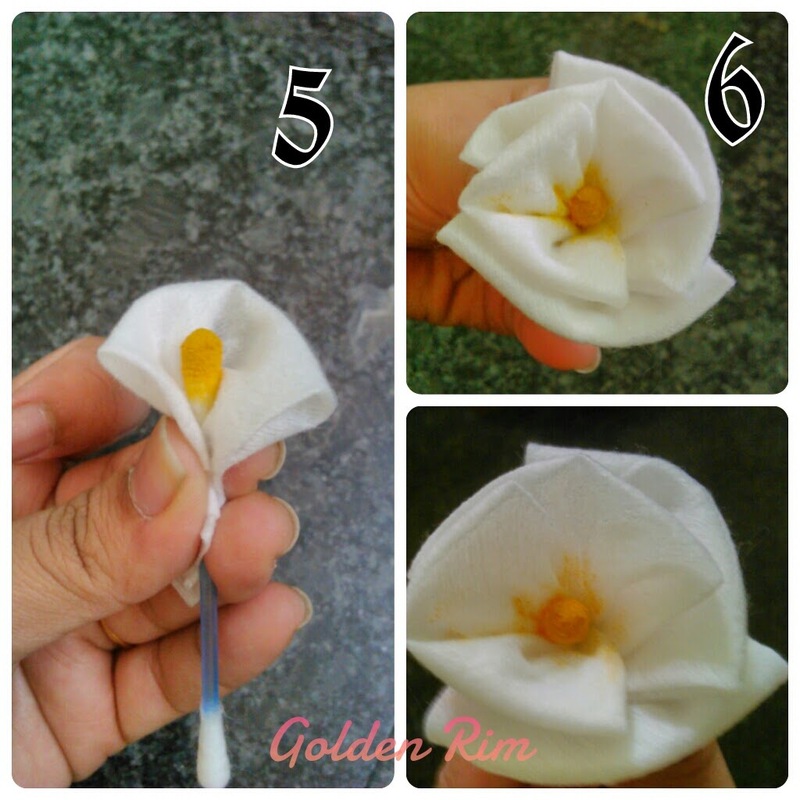 Today am posting my first DIY flower post. 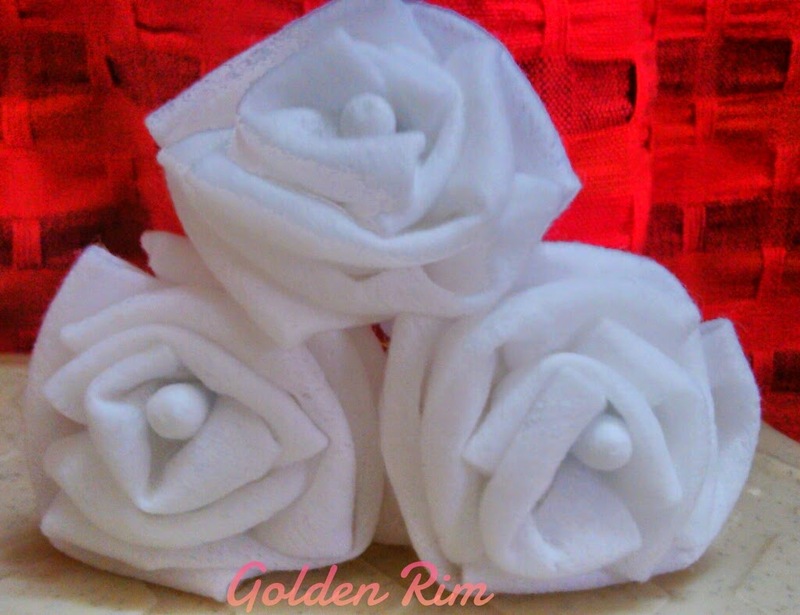 I had made my DIY organde flowers way back when I was in college but was not happy with the stiff and dull flowers. So I have used the same technique but with a twist. I have used the facial wipes to make these flowers. 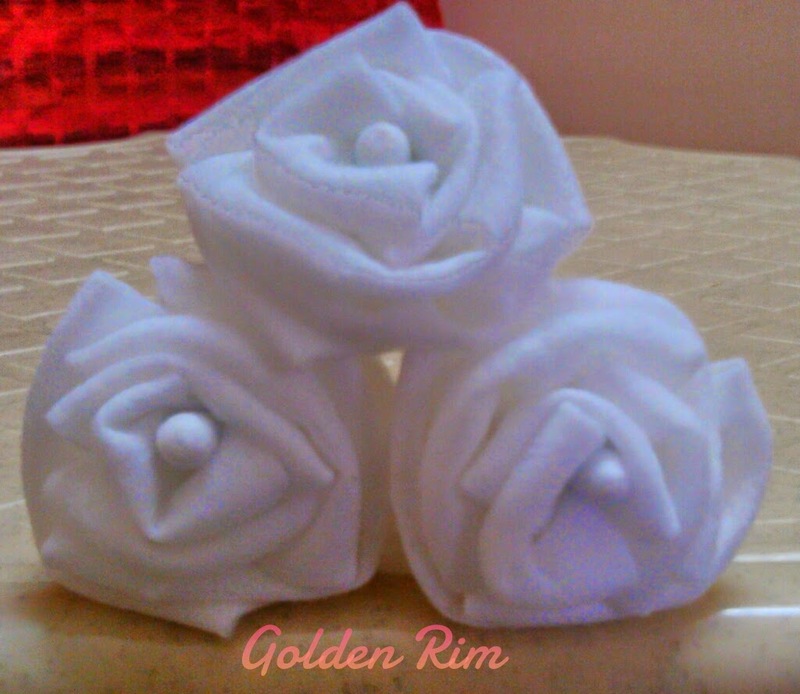 I first tried making the flower with an unused facial wipe lying in my drawer and even used baby wipes to make some more. Why I used facial / baby wipes to make the flowers? - Its easier to twist, fold, wrap and tie them. So following is the tutorial for the flowers. I don't know the name and am surely not going to call them roses because they don't look like one. 1) Take a single facial wipe. Cut it in a square because usually they are rectangular in dimension. Make about 4-6 small squares of one facial wipe. 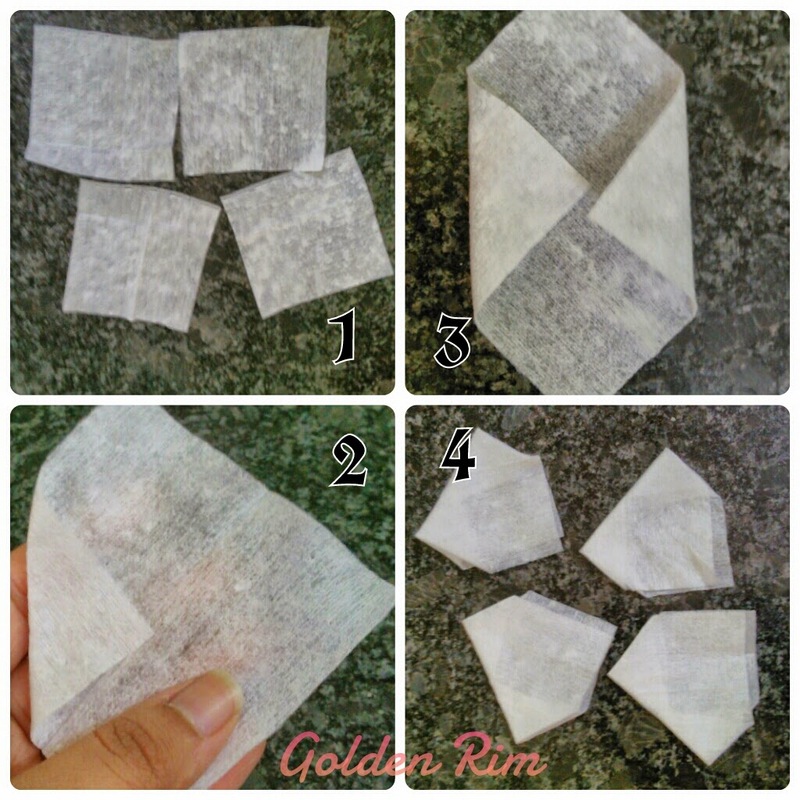 2) Take one of the square wipes which you have cut. Fold one corner of the square piece as shown in the picture. 3) Fold the opposite corner of the same piece to make it look like as shown in the below pic no. 3. 4) Now fold the piece along the horizontal symmetry line to look like as shown in the image no. 4. Fold all the pieces to make the flower. 6) Go on rolling all the petals around the bud and tie the thread at end to keep the petals in place. Your flower is ready. Soon I will be making the coloured versions of these flowers till then have a great day ahead. And yes do tell me how these flowers are in the comments section below.